→How Do You Know if You’re Allergic to Pet Dander? How Do You Know if You’re Allergic to Pet Dander? Dander is scales of skin that come off of animals. It is also the culprit of serious sneeze attacks, watery eyes, and many other allergic symptoms to millions of people. You don’t really see dander much when you’re walking around your home, but it is there if you have a pet. If you walk into a friend’s home who has a dog or cat, you may not notice dander there either. But if you start sneezing soon after you enter, you are probably having some sort of a negative reaction to the animal’s dander. Specifically, you may sneeze, or have a stuffy or runny nose. You may also experience facial pain from nasal congestion. You might also be short of breath, and you may cough, have chest tightness, and wheeze. Additionally, your eyes may be red, itchy, and watery. Your skin may also break out in a rash or hives. If you have children, and they experience some of these symptoms, pay attention. Pet allergies are the immune system’s reaction to dander, saliva, urine, or feces. Pet hair isn’t really much of an allergen, but it can be the home of dust, pollen, mold, and other allergens. If your child breathes in dander or touches saliva or droppings, histamine is released, along with over 40 other chemicals, to ward off the reaction. Histamine causes the nose and airways to become inflamed, and the chemicals can cause the symptoms of allergies. It’s important to know that asthma in young children can often be triggered by animals. If you have a cat allergy, you can have constant allergy symptoms, even if there is no cat in the room. 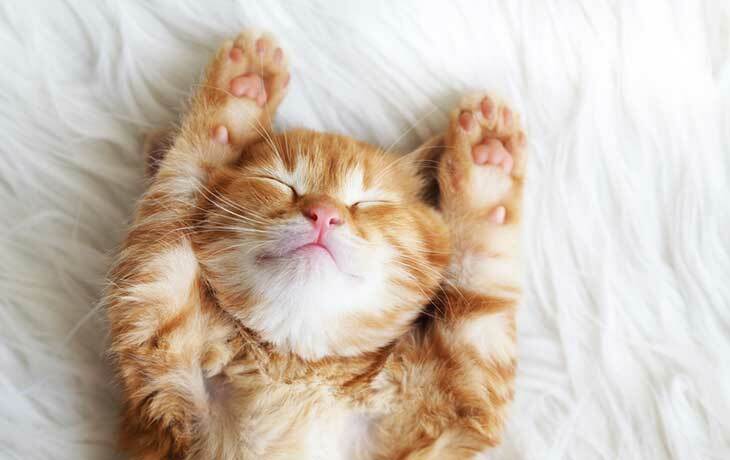 Cats create many allergens, which are proteins that can be the cause of an allergy. They are present on the cat’s fur, skin, and saliva. If you come into contact with cat dander, there are allergens on them that are likely causing your allergic reaction to cats. Even if you shave a cat, you may still have reactions to it because “the allergen is not an integral part of dander or the coat itself”. If you get a cat hair in your eye, it’s the same as being exposed to the proteins that cause allergic reactions in any other way. If you are in an environment where there are allergens the cat produces, you’re likely going to have an allergic reaction of some form. If you have a cat allergy, the first thing you should consider is removing the cat from your home or staying out of environments where cats are ever present. If you don’t want to take the cat out of your house, you can keep the cat in just a few rooms. Also, don’t touch the cat. If you do, wash your hands with soap and water. You can also run a high-efficiency particulate air (HEPA) cleaner in your bedroom or living area. This can help cut down on the allergen level over time. You can also use a vacuum cleaner that has a HEPA filter on it. A central vacuum can also do the job. If you’re brave, you can give your cat a bath once a week to help cut down on cat allergies in the air. 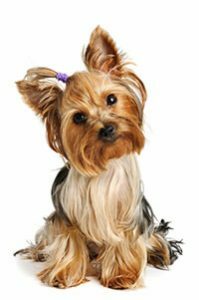 Use anti-allergen pet shampoo if you decide to do so. Additionally, you can use steroid nasal spray, oral antihistamines or other medications. You can also use antihistamine eye drops for your eyes. You can also treat respiratory or asthma symptoms with inhaled corticosteroids or bronchodilators. Allergy shots are also helpful to build tolerance by injecting you with increasing doses of the allergen. Be aware there are no hypoallergenic cat breeds as the proteins that cause allergies are carried on their hair and saliva. Even a hairless cat will produce allergens. For dog allergies, you can request a skin-prick test from your allergist. You can get the results in 15-20 minutes. You can also remove the dog from your home, or follow the methods above for cats to reduce the allergen level in your home. The same strategies will help if you have a dog in the house. You can also take the medications mentioned above for cats to help with your allergic reaction to dogs. 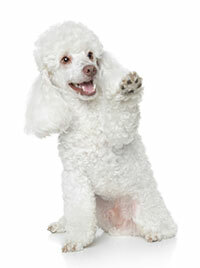 If you want to get a dog that won’t cause you allergy problems, you might look to Poodles, Portuguese water dogs, some types of Terriers, or another breed that is known to cause fewer allergy problems in humans. There is no truly hypoallergenic breed of dog, however. While pet allergies can be difficult to deal with, there are several steps you can take to cut down on the allergen level in your home or environment. Through a combination of these efforts, you should be able to reduce your exposure to pet allergens and your allergy symptoms. DO NOT BATHE CATS ONCE A WEEK. Bathing cats strips their skin and coat of all its natural oils and dries it out, leading to itching, excessive scratching, and ironically dry flaky skin that gives dust mites more food anyway! Cats at most should only be bathed once or twice a year as they are self-grooming. Do your research people!